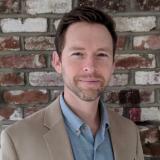 Christopher Curtiss is the Head of Staffing for Waymo, where he is responsible for recruiting and organizational design. Prior to Waymo, Christopher served as a business management consultant both at McKinsey and internally at Google. He has experience in operations design, performance management, and org design in a number of different industries including travel and logistics and tech. He currently makes his home in the Bay Area with his wife and 2 boys.